The three big continental championships of this summer have been and gone already, which usually means just one thing for athletics fans – post-championship blues. 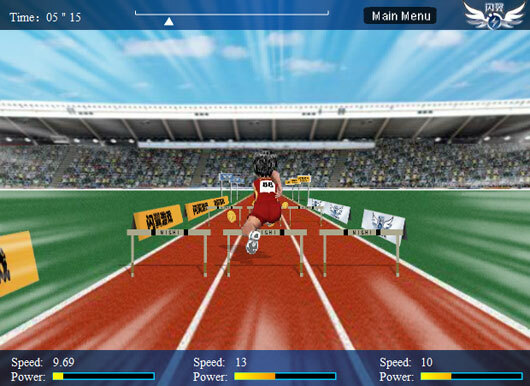 So what better way to cheer yourself up (and kill time on your lunchbreak) than to play some track and field-themed games online?! 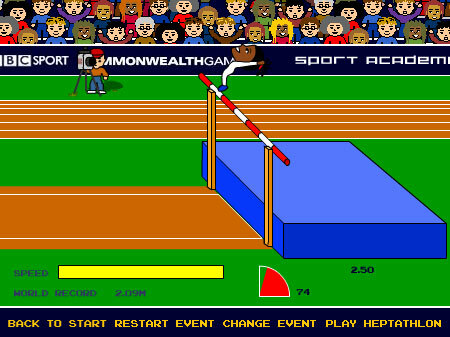 I do like to put together a good list, so I have ranked ten of my favourite athletics flash games. Please feel free to leave your comments below as to which one is your favourite, or mention what your best scores are in the various games. And be sure to bookmark this page so that you never lose track of where to find these games. Simple, to the point, and addictive. 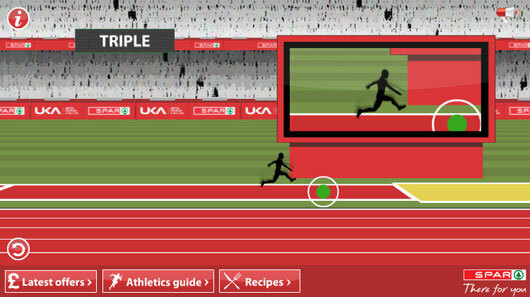 What more do you need from an athletics flash game? The controls are easy enough to get the hang of (bash the right arrow key to run, hold and release the space bar to plant the pole) and if you put it all together in a good vault, then breaking the world record is an easy enough task. As charming as it is though, the graphics look like pictures I used to draw in paintpot, and once you’ve broken the record then, much like a top athlete, there’s nothing left to do but retire. This game has been around for almost as long as Merlene Ottey, but the old ones are the best! Okay, not quite the best, but good enough to make it into this top 10. It simply involves pressing the arrow keys to sprint as fast as you can in order to progress through the rounds, starting off at school competitions, through to national competitions and then the Olympics. Win the Olympics, and you then race aliens. The thing I love about this game is the little touches like the way that female opponents run with flailing arms, and how in the Olympic final you’re racing against seven Jamaican athletes (even though their names are “M. Greene”, “C. Lewis”, etc). This has the feel of the early track and field games on the Play Station, which isn’t a bad thing. For an online game, it’s quite impressive and the animation makes you feel like you’re almost in the stadium. Well, kind of. But because this is a shockwave game, it may mean that your computer will struggle to load it. It also loses points for including sports like archery in what is supposed to be a track and field game – a pet peeve of mine. 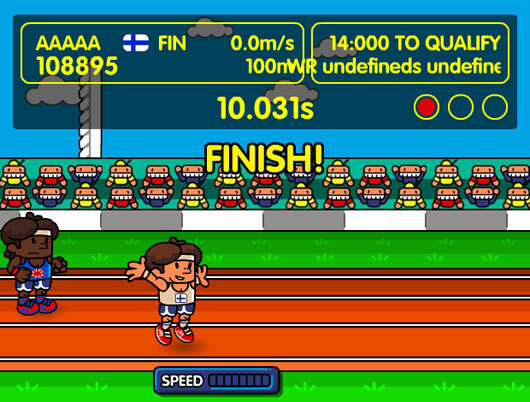 Okay, so it doesn’t matter that there are 39 hurdles on the straight in this race (I’ve always felt that the 110m hurdles is too short an event), nor that the runner looks like Susan Boyle, but dammit this game is addictive! The opponent on the left hand side is a tricky one to beat, but once that has been achieved then the game gets a bit boring. It’s a gudden nevertheless. Select your country, choose your athlete, enter your name, and you’re good to go! It’s the same old principle – bash the arrow keys to build up speed, press space to jump. The graphics are aesthetically pleasing enough, but the drawback of this game is that it’s just not very challenging. It’s not that difficult to run sub-6 in the 100m, or to clock sub-10 in the 110m hurdles (knocking down barriers along the way) or to triple jump almost 40 metres. But everyone dreams of having super-human athletic ability and this game can help fulfill those ambitions – at least virtually. 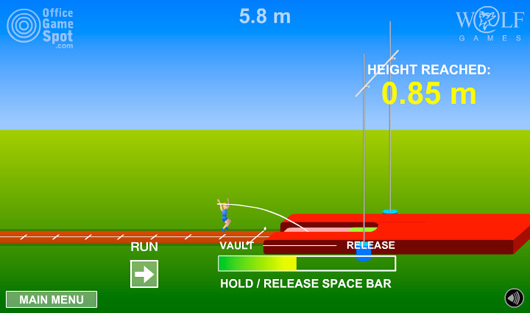 This game was created as part of the build up to the 2005 IAAF World Championships in Helsinki, so it’s no surprise that the javelin features as one of the four events. Start with the 100m, then the long jump, javelin and hurdles. If you make the qualifying mark in each event then you ‘win’ the opportunity to compete in a long distance race – which involves tapping your keys for 12 minutes. That element aside, this game is quite a lot of fun. 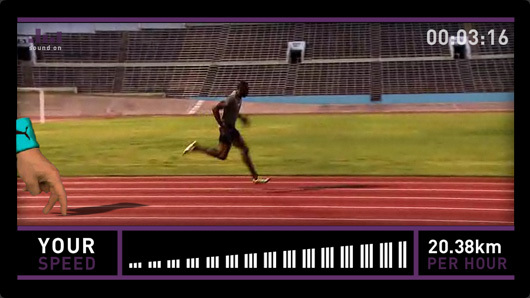 Ever wondered what it’s like to race Usain Bolt? Well now you can find out. In this clever game from Puma, you are represented by a giant hand, which mimics the actions of your fingers as you tap away at your keyboard, trying to keep up with Bolt. 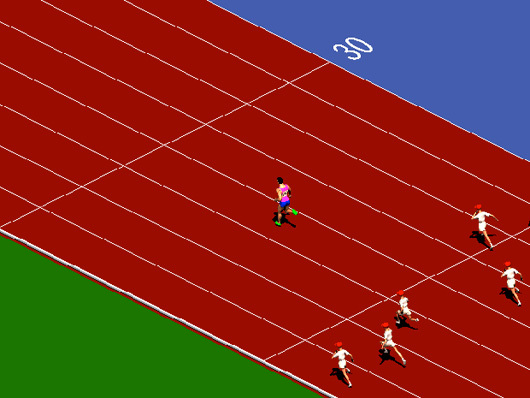 What makes this game stand out is that you’re not simply racing a computer graphic – you see Usain Bolt in actual video mode. 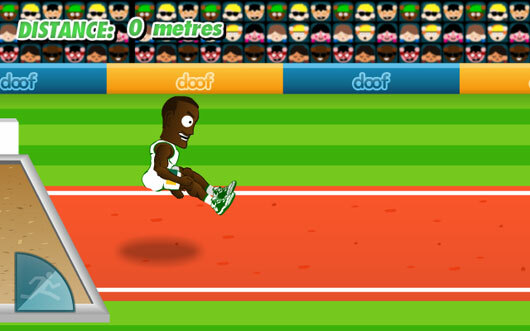 But if this game reaffirms anything, it’s that it’s tough to beat Bolt! This is a real gem of a game and one of the most addictive. I dread to think just how many of my lunch breaks have been taken up by trying to get this line-drawing of a bear to break world records in the javelin or the triple jump. 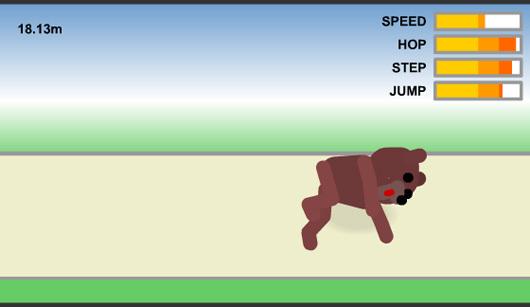 The graphics are simple to the extreme, but that’s part of the charm (see above for example of the bear looking drunk when he lands in the jumps pit). The other plus point is that you don’t have to bash keys to build up speed in this game (something your computer will thank you for!). It’s simply all down to strategic clicks and timing. The performances are realistic too – I mean, it would be stupid to think a bear could run sub-12 in the hurdles. But 12.95, now that I can believe. The original and the best! 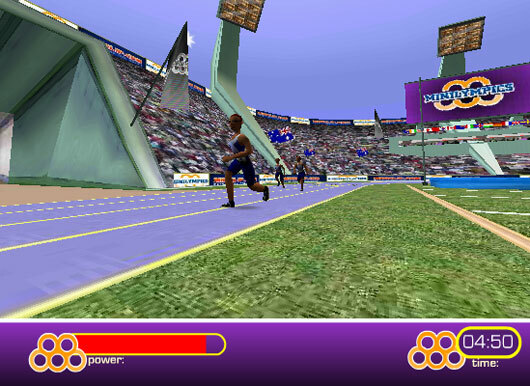 This game was one of the earliest athletics flash games I can remember and was created in the lead up to the 2002 Commonwealth Games at which Denise Lewis was planning to compete (before she fell pregnant). But the fact that she wins gold and smashes the world record every time this game is played goes some way to making up for her absence in Manchester that year. This game was quite ahead of its time and many other games have tried to imitate it, but not come close in terms of overall enjoyment. Sure, it’s impossible to run 8.43 seconds in the hurdles or to throw 36.82m in the shot, but that is all part of its charm. It’s fun to see how those other-worldly marks translate into a heptathlon score. And the better you perform, the better your opponents perform, so it’s not unusual to see an athlete from Papua New Guinea (all the random Commonwealth nations feature in this game – another plus) break 7300 points to finish runner-up – behind your 18,194 winning tally! Well number 1 was an obvious choice wasn’t it?